Fig. 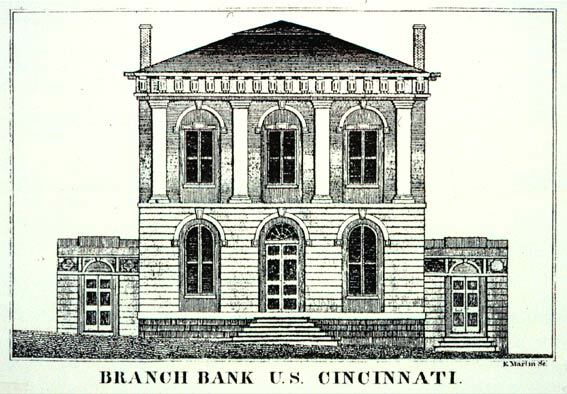 2.4 Branch Bank U.S. Cincinnati. Ebenezer Martin. Engraving. 3&4/16 x 5&4/16 in (8.26 x 13.34 cm). Benjamin Drake and E. D. Mansfield, Cincinnati in 1826 (Cincinnati: printed by Morgan, Lodge and Fisher, February, 1847), facing p. 29. Archives and Rare Books Department, University of Cincinnati.